TRAVEL.org - Travel to Arizona. Find Arizona hotels, Resorts, and fun activities. ARIZONA LIFE -- Your Online Guide to Arizona! - Enjoy 500+ pages of photos, maps, and lists of fun things to see, do, and buy in beautiful Arizona, for tourists and anyone wanting to relocate to Arizona. 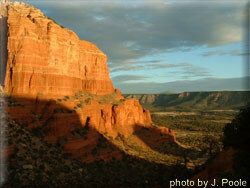 Arizona Guide -The official Arizona travel and vacation guide from the Arizona Office of Tourism. Arizona Lifestyle Magazine - Tons of valuable information for Arizona visitors. Valley Metro - Arizona Public Transportation Resources. Arizona Libraries & Archives - Find libraries throughout Arizona, or access online resources. Visiting Phoenix - City of Phoenix Official Tourism Website. Marriott’s Canyon Villas - Rising from the inspiring Sonoran Desert of Phoenix, Arizona, Marriott's Canyon Villas at Desert Ridge features a variety of spacious accommodations from comfortable guestrooms to gracious 2-bedroom/2-bath villas. Hilton Phoenix East/Mesa - Book your reservations online today for Our Best Rates. Guaranteed. Hyatt Phoenix - in downtown Phoenix. Book online and receive our Best Rate Guarantee. Courtyard Phoenix West/Avondale - is located less than a mile from the best of West Phoenix dining, nightlife and shopping. Enjoy complimentary high-speed Internet access in every guest room and business library, as well as wireless Internet in the lobby, lounge and cafe. SpringHill Suites Phoenix Glendale Sports & Entertainment District - Looking for a Sizzling Summer Getaway!? SpringHill Suites is in the heart of the Sports & Enterntainment District and walking distance to University of Phoenix Stadium. Fiesta Inn Resort - Fiesta Resort Conference Center is a Tempe Arizona hotel with excellent meeting facilities and upscale amenities near Arizona State University. Courtyard Scottsdale Salt River - Visit one of the newest hotels in beautiful Scottsdale, Arizona. The beautiful Courtyard Scottsdale Salt River is located near picturesque golf courses. You'll also enjoy free Wi-Fi throughout, and each guest room features a mini-refrigerator and microwave. Our well-equipped fitness center and outdoor pool will help you stay refreshed. The River Park Inn - A premium hotel located within walking distance of the sights and attractions of downtown Tucson. Enjoy the finest amenities and services, from Bennigan’s Grill & Tavern on-site, to our wide array of outdoor and fitness facilities including pool and spa. The Matheson Team RE/MAX Fine Properties - The best rentals and real estate for sale in the beautiful city of Scottsdale, Arizona. Comfort Suites at Sabino Canyon - a newly renovated, romantic, hacienda-style hotel conveniently located close to several popular area attractions and offer superior service and amenities. Canoa Ranch Golf Resort - Wyndham Canoa Ranch features a full-service spa, two golf courses, pool, a restaurant and one or two-bedroom suites with kitchens. Red Feather Lodge - Nestled in an idyllic Grand Canyon, Arizona setting, the pet-friendly Red Feather Lodge provides vacationers with affordable accommodations, personal service and easy access to golf, hiking, horseback riding as well as the spectacular attractions of Grand Canyon National Park. Esplendor Resort at Rio Rico - Escape to our culturally unique luxury Esplendor Resort at Rio Rico in southern Arizona where you'll find our award-winning golf course, lighted tennis courts and spacious accommodations that reflect the flavor of Native America, Mexico, Spain and the Old West. Arizona Lodging Experts - offering vacation rentals in Phoenix and surrounding cities, as well as real estate and property management. Embassy Suites Phoenix-Scottsdale - Overlooking the mountain vistas of Arizona, this all-suite hotel includes complimentary cooked-to-order breakfast and evening manager’s reception. The Ritz-Carlton Phoenix - Wedding receptions and events at The Ritz-Carlton set a new standard in romantic elegance. From martini nights to lavish wedding receptions in Phoenix, with exceptional on-site wedding planners, your big day will be unforgettable. The Phoenician Resort - Visit The Phoenician for a luxurious Scottsdale resort experience. Featuring hotel suites, golf, spa, pools, dining and more, The Phoenician offers unparalleled service in a beautiful Arizona resort setting. JW Marriott Camelback Inn Scottsdale Resort & Spa - Located on 125 acres in the foothills of Camelback Mountain, this Scottsdale resort & luxury hotel feautres six on-site restaurants, a full service spa, 40,000 sq ft of meeting space, on-site golf courses and much more. Sunbelt Vacations - Book Arizona vacation rental homes, condos, villas and townhomes with the industries leading online reservations engine for vacation rentals. Marriott Phoenix Airport Hotel - Get away to one of the top Phoenix airport hotels. Featuring spacious guest rooms, a full-service business center and the area's largest ballroom our hotel near the Phoenix airport makes it easy to work and relax. JW Marriott Phoenix Desert Ridge Resort & Spa - Overlooking the McDowell Mountains and Sonoran Desert, the JW Marriott Desert Ridge Resort in Phoenix offers a full service spa, mutliple dining options, on-site golf courses, five resort pools and Nickelodeon Getaway packages. Hampton Inn Flagstaff - A perfect locale and a promise of comfort continue to bring visitors to the cozy Hampton Inn East, Flagstaff. We are an amenity-rich hotel bordered by an amazing array of nature’s finest works of art, including the Painted Desert and the Grand Canyon. The Buttes, A Marriott Resort - Discover luxury at one of the finest hotels, Tempe, AZ has to offer; and with a host of amenities ' world-class dining & a relaxing spa ' just steps from your Tempe, Arizona hotel's door, The Buttes offers an unforgettable retreat. JW Marriott Tucson Starr Pass Resort & Spa - This family-friendly resort in Tucson, Arizona, features the Nickelodeon Getaway, a full service spa, three golf courses, over 88,000 square feet of meeting and event space, on-site dining and several hiking paths. Francisco Grande - Arizona luxury golf resort between Phoenix and Tucson. Ideal for vacation, weddings, conferences, and events. Best Western Arizona Hotels - Offering more than 60 locations throughout Arizona to meet your vacation and business travel needs. Radisson Tucson - Let us be your Tucson Arizona hotel - for business, pleasure and special occasions. Hilton Phoenix East - Book your reservations with the Hilton Phoenix East/Mesa online today for Our Best Rates. Guaranteed. Hyatt Phoenix - Choose Hyatt Regency Phoenix in downtown Phoenix. Book online and receive our Best Rate Guarantee. Renterrific.com - Vacation Homes in Arizona, and the Southwest. Phoenix Hotels and Accommodations - Discounted rates on Hotel rooms, Car Rentals, Flights, Vacation Rentals. Discountedhotels.com, your complete travel resource. Village Lodge - In Sedona (Oak Creek) area. Economical Lodge with fireplace suites w/refrigerator & microwave, close to Bell Rock. Vacation Rental Network - Find a beautiful home, villa, or condo in our extensive database of vacation properties for Arizona.